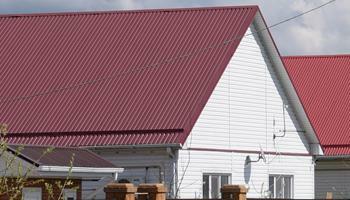 Union Corrugating Company is an Industry Leader in Metal Roofing Materials and Supplies! Since 1946, Union Corrugating has been a leading metal roofing manufacturer, providing metal roofing products, supplies, and wall systems for residential and commercial buildings.As a leading metal roofing manufacturer, we continually strive to make commercial and residential metal roofing materials that are more durable, beautiful, and energy efficient metal roofs that save you money while protecting the environment. 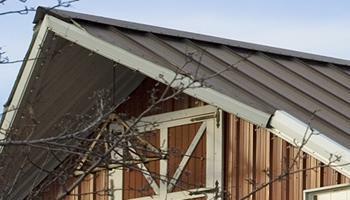 Union offers both exposed fastener metal roofing system and concealed fastener standing seam metal roofing systems for residential, commercial, and post-frame metal roofing applications. As the name implies, exposed fastener metal roofing systems use screw fastener system that are visible on the exterior of the metal roof surface after installation. These exposed fastener metal roofing systems are economical, and this type for metal roofing system has been in service for decades, and are extremely popular in a wide variety of residential and commercial metal roofing applications. In concealed fastener metal roofing systems such as our standing seam metal roofing system, the screws are completely concealed and protected by the steel roof surface. 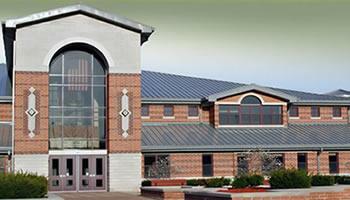 This metal roofing system gives standing seam panels very clean, aesthetically pleasing lines. The standing seam metal roofing system also exhibits the very best in weather resistance and durability since the metal roof fastener systems are not exposed to the outside elements. We offer the three primary types of standing seam metal roofing systems; screw flange, snap lock, and mechanically seamed system. Each of these standing seam metal roofing system designs uses a slightly different method to secure the panel to the metal roof. "1.50"" (1-1/2"") rib height mechanical lock standing seam system"
"2.00"" rib height mechanical lock standing seam system"